Food models are a seaside staple, and sometimes a little scary, but this example has to be one of the more disturbing. The outsize hot dog stands on Weston-Super-Mare pier, anointing itself with ketchup as it leers at passers-by! 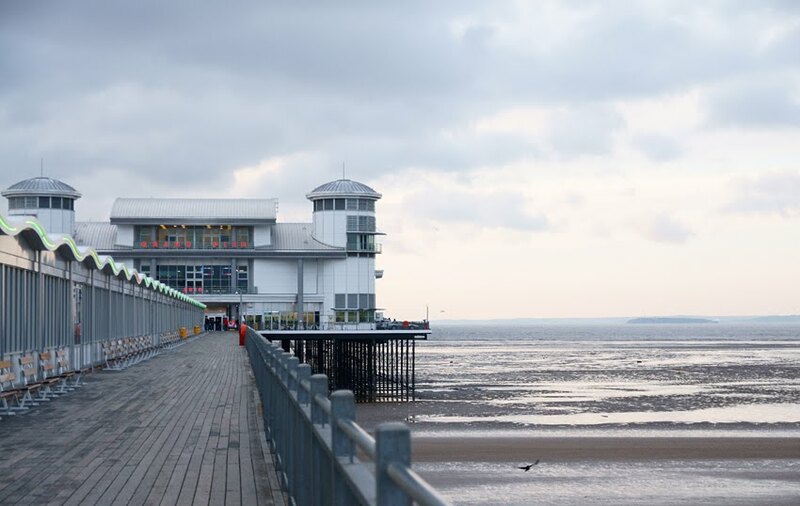 The Grand Pier at Weston-Super-Mare is now rebuilt and reopened. Saturday may have been freezing cold, but there were plenty of people inside the new pavilion when I hedonistically gambled away, oh, about £1! It's good to see traditional arcade games still going strong alongside the new rides. 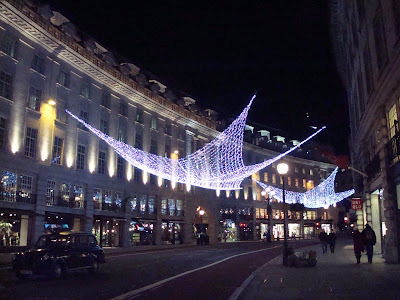 As many of London's lights have been reused this year - the belly-flopping stars in Regent Street are on at least their third appearance - a similarly sustainable recycling of this post seems rather apt! In the mid-twentieth century, the lighting displays spread out of the stores and into the streets (see a gallery of photos here). Regent Street first lit up in 1954, after an article in the Daily Telegraph commented on how drab London looked; except for a gap in the 1970s, it has had an annual display ever since. 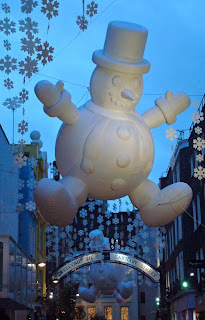 Oxford Street followed suit in 1959 - with a decade-long break from 1967 to 1978 - and trips to see the christmas lights have been a valuable way of attracting shoppers. The switching on of the lights continues to be a feature of the seasonal calendar - although it now seems to have moved back to early November. Since Trinity House had its roots in Deptford, it's natural that it had almshouses there too. 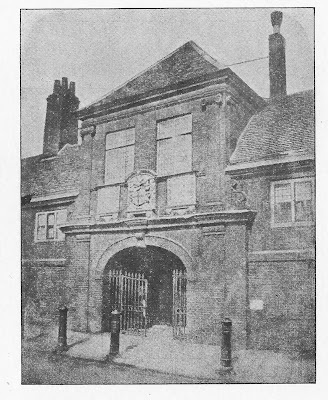 They were built in 1670 on land given by Sir Richard Browne, Master of the Corporation, and stood near St Nicholas' Church at the north end of Church Street. The body responsible for licensing Thames pilots (and later, for looking after after Britain's lighthouses), Trinity House was also a guild whose services to members included providing housing for the needy. These 56 residences were specifically for 'decayed masters and commanders of ships, mates, and pilots, and their wives or widows'. 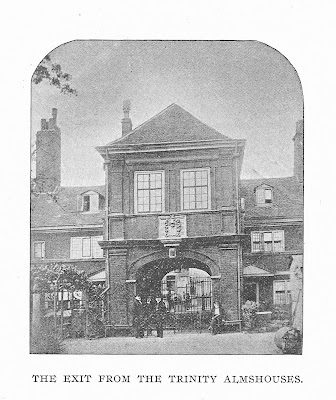 The Deptford almshouses were demolished in 1877. 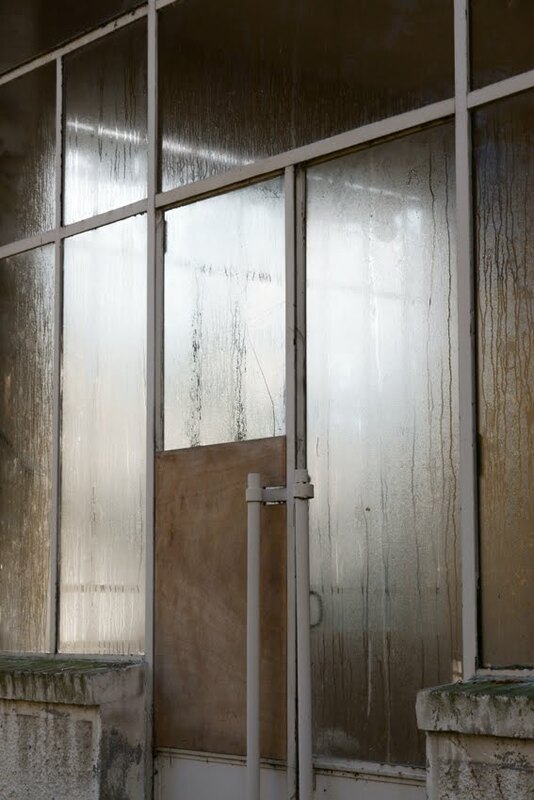 These photographs, taken by Thankfull Sturdee, provide a record of what was lost. I've posted before about Deptford Station, one end of the first suburban passenger railway, so a post about the other end of the line is rather overdue. 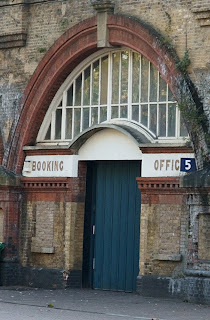 Spa Road Station, Bermondsey is now closed, but a few traces remain. They are not in fact traces of the original station, as it was resited when the viaduct above was widened to accommodate more lines. (By the turn of the century, there were twelve.) However, as the railway got busier, the station did not. After its ten months of glory as the northern terminus, the more usefully-located London Bridge Station opened. 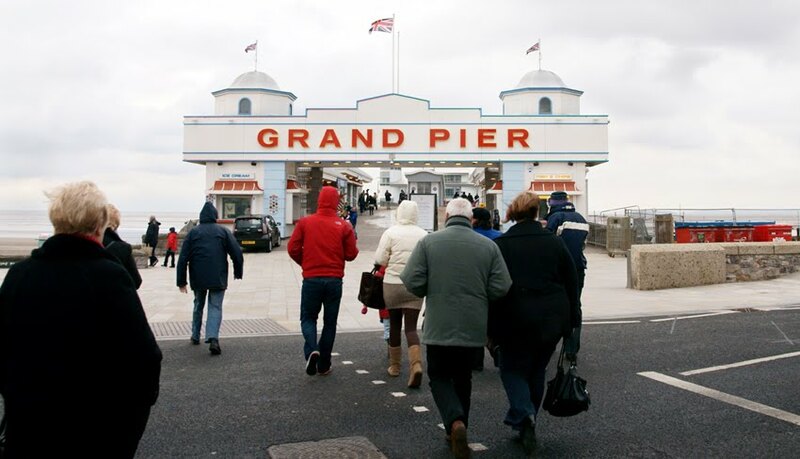 Passenger numbers dropped off, despite rebuilding of the wooden original and even a minor relocation. 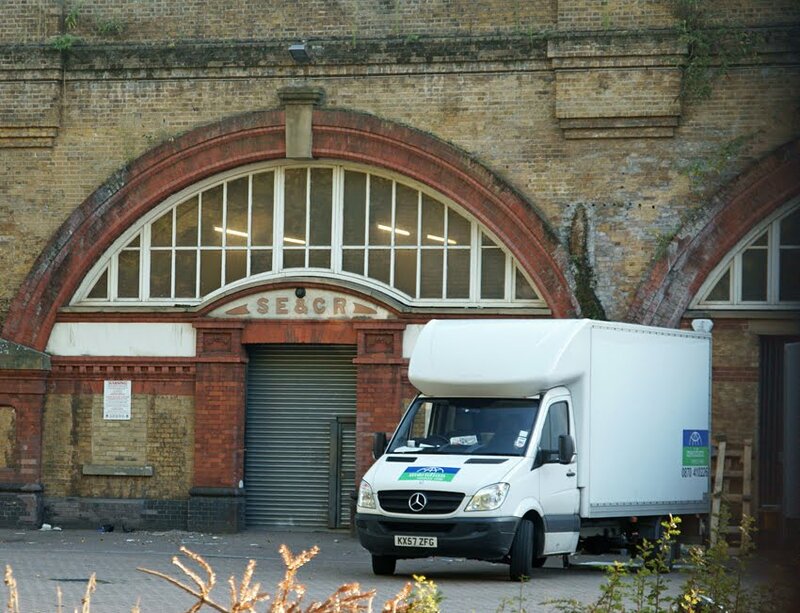 Finally, the station closed during the First World War, never to reopen. The initials SE&CR stand for South East & Chatham Railway. Its scope, so much larger than that of the London & Greenwich Railway which first used the station, tells its own story of rail expansion. If you cannot take the time to visit these remnants in the backstreets of Bermondsey, however, other phantoms haunt the rails themselves. Between Deptford/New Cross and London Bridge, at the point signposted as Spa Road Junction, some of the old platforms remain stranded between the lines. 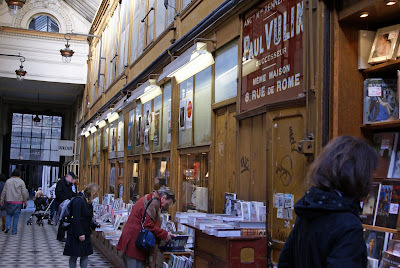 I love exploring the covered passages in Paris. 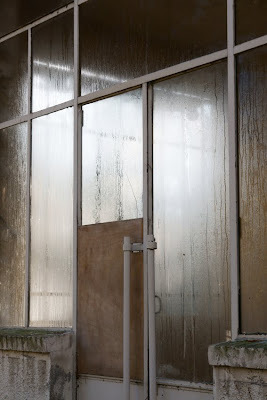 Often run down today, nonetheless traces of their past remain: a rather more glamorous past, as I explored here. 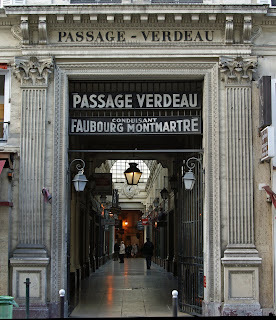 In their heyday, there were about 150 of these passages in Paris. However, once Haussmann remodelled the city with brighter, wider, safer boulevards, the passages began to seem dingy and dubious by comparison while their small shops were overshadowed by the new department stores. Many disappeared altogether during the late nineteenth and twentieth centuries. Today, those passages which survived are popular once more and are home to a number of small, interesting shops. All can be seen in the wonderful Musee de Cluny, France's national museum of the middle ages. As usual, click the photo to enlarge. 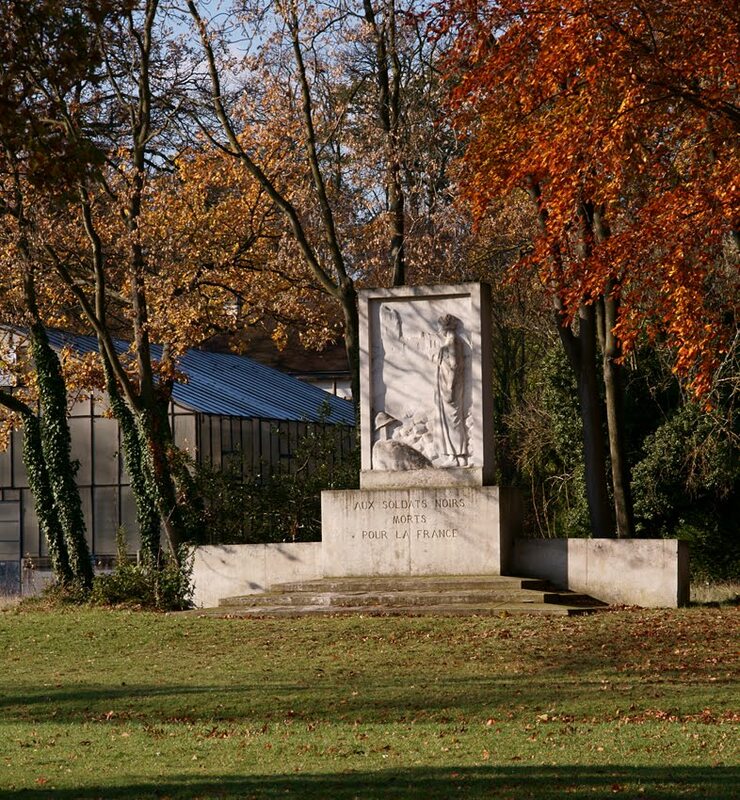 Abandoned for years, slowly being made safe and improved, the Jardin d'Agronomie Tropicale is tucked into a corner of the Bois de Vincennes in north-east Paris. 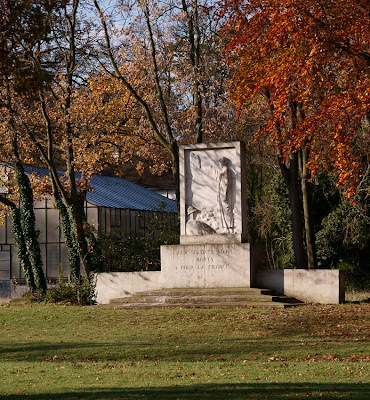 Its name translates as 'the garden of tropical agronomy', but that tells only half the story. In a sense, this place is a museum of France's colonial past. Originally, the purpose of this site was as a place for agricultural experiment. Devoted to France's colonial activities, it allowed researchers to grow plants such as coffee. cocoa and vanilla - not out of general interest but so that they could be exported to French colonies. New growing centres could then be established for the various crops, increasing production. Less than a decade later, the garden took on a new role as the site of the 1907 Colonial Exhibition. It housed five 'villages': Madagascan, Congolese, Indochinese, Sudanese and Touareg. Such voyeuristic exhibitions or 'human zoos' were not new; several pavilions were reused from the Universal Exhibition of 1900. This treatment of the colonised as 'other' was as much a part of the imperial project as the growing of tropical crops. After the exhibition, there was a military hospital here during the First World War. As a result, memorials to soldiers from the former colonies were placed here. 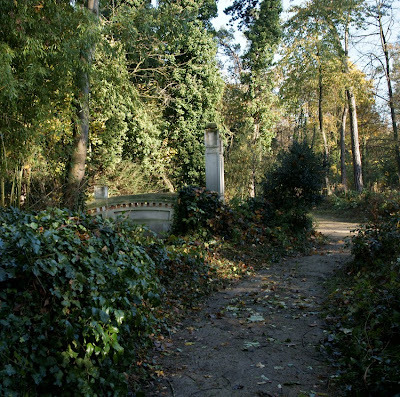 Then the site was abandoned and its buildings slowly rotted; it only reopened to the public in 2003. 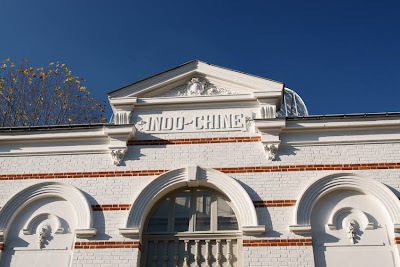 Among the exhibition buildings, the Indochinese pavilion is in the best condition and is currently being restored. It will become an information centre for the garden. Today, there are visitors, but not many. 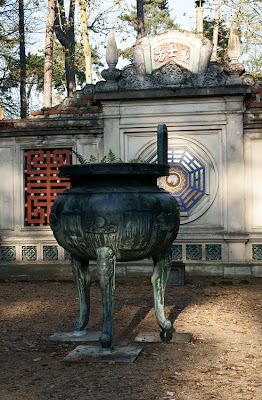 The garden isn't in guidebooks: I only found out about it thanks to Invisible Paris. Its quiet is less peaceful than eerie: it sometimes comes as a relief to pass other walkers here. 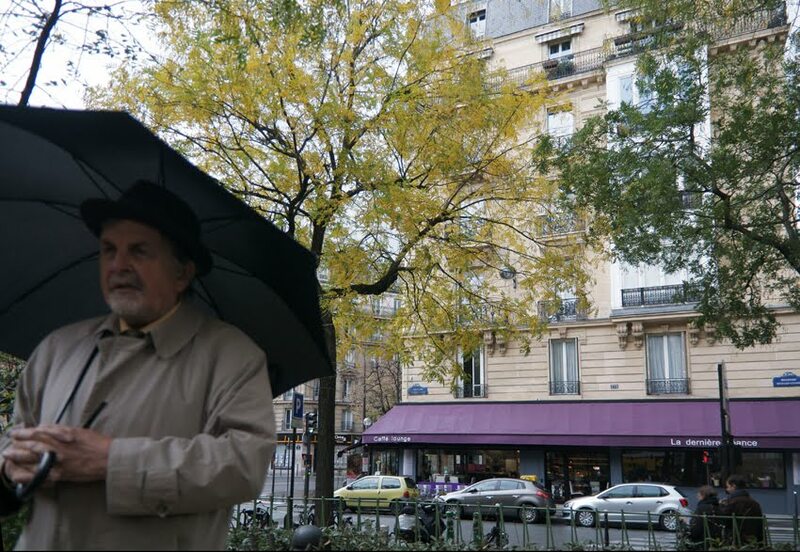 On Sunday, I took my umbrella and headed to Paris Noir, a festival of European crime literature and film. I love detective fiction, so the Maigret exhibition and guided walk were particularly appealing, although the opportunity to discover new books is always irresistible too! Maigret lived in the 11th arrondissement of Paris, as did Simenon himself for some years. 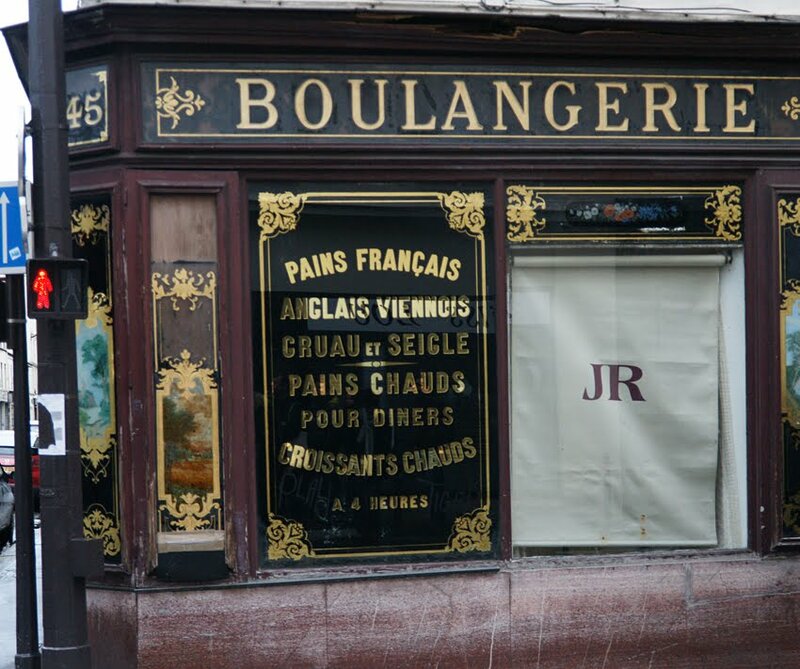 We were therefore on the Commissaire's home ground, although his address on Boulevard Richard-Lenoir proved to have no front door - the ground floor is taken up by a cafe. Was this a mistake, or a deliberate separation of fiction from fact? There are other traces of Maigret's Paris here, not least this patisserie which is mentioned in one of the books. (Simenon wrote over 70 novels featuring the detective.) However, the rather fine shopfront is an illusion: it is now occupied by a clothing wholesaler. Indeed, this part of the neighbourhood bears little resemblance to the streets of small businesses the Commissaire would have known, as Chinese textile wholesalers have taken over almost all the premises - a complex issue considered by Invisible Paris. Other changes have also taken place, and might have concerned Maigret more. The local police station has closed: where there were once four in each arrondissement, they have now been centralised. Investigations depend increasingly on scientific evidence, something for which Maigret had little enthusiasm. He preferred to rely on his own thoughts and feelings; as for evidence, he favoured confessions - not the perfect evidence in real life that they appear to be in crime fiction. Our guide not only bore a resemblance to Maigret, complete with the requisite hat and pipe. He is also an ex-police detective and local resident. This exploration of a neighbourhood off the beaten tourist track, and its insights into both Maigret and Simenon, were well worth braving the rain for. Today we're returning to last year's Remembrance Sunday post, which looks at one of London's major civilian tragedies in the Second World War. Since it was written, a further memorial plaque has been placed on the site by Lewisham Council. 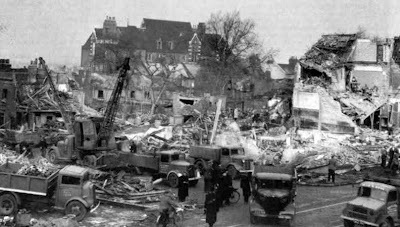 At 12.44pm, Saturday 25 November 1944, Britain's worst V2 attack struck New Cross destroying the Woolworths store as well as badly damaging the neighbouring Co-op. 168 people were killed, 122 injured. Unusually fine weather had ensured that plenty of people were out shopping that lunchtime, while workers from the neighbouring railway station and children returning from the swimming baths had gone into the store for a drink. Some accounts suggest that there had been a rare delivery of saucepans to Woolworths that day. Sheets of corrugated steel had been placed along some of the gutters to cover what was left of people and blood was seeping out from beneath.There was debris everywhere.I saw several people dead beneath telegraph poles and there were bodies and wounded and maimed laying randomly all over the place. The site of the bombing is now occupied by Iceland and New Cross Library. A small plaque on Iceland's wall marks the disaster, while the memorial on Woolworths' own website is archived here. As well as the image above, it includes a full list of the names of those killed. Perhaps the saddest part of this is the final line: and 24 others who could not be identified. Last year's Remembrance Sunday post is here; Colin Blythe, Deptford cricketer, was killed in World War One. The temperance movement of the nineteenth century lost ground, literally and metaphorically, in the twentieth. However, at its height this was a significant national and international movement, taken up at all levels of society, which made its mark upon our townscapes as much as upon those who had 'taken the pledge'. The movement did not only seek to limit the use of intoxicating liquor; it also set out to provide alternatives. These were not limited to the stereotypical cup of tea and hymns around the piano in the church hall. Coffee houses, institutes and hotels proliferated, while London had a number of temperance billiard halls. 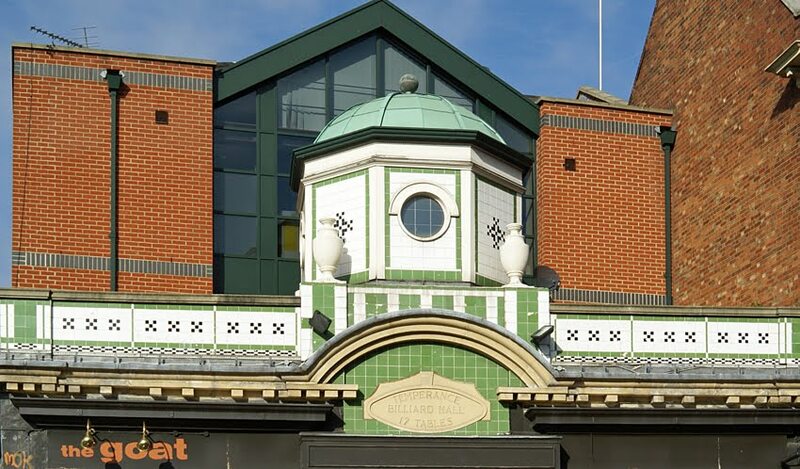 The rather nice example here is on Battersea Rise. These establishments were popular because they offered a cheap way to enjoy a game hitherto only available in pubs. It is a rather bitter irony, then, that so many of these premises have since been converted to the selling of alcohol. The Battersea billiard hall is no exception: it's now a bar. The gateposts of Pallant House in Chichester are topped by unusual ornaments: rather chunky, improbable ostriches. It's no surprise that locally it's known as 'Dodo House' instead! 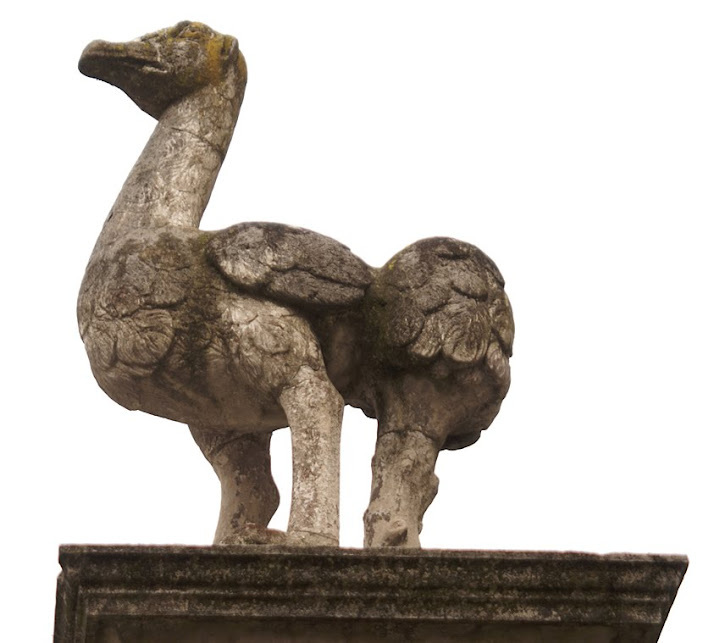 The original owner of the house in 1711 was wine merchant Henry Peckham, and ostriches featured on the crest of his family coat of arms. However, the money for the house came from Peckham's older, wealthier wife Elizabeth. Its high cost (double the estimate) did little to help their shaky marriage. Ostriches may seem fairly exotic for an English family, but these African or Arabian birds had long had a place in European culture. They were familiar to the Romans and in more modern times were valued for their skin and extravagant feathers. The Elizabethans prized their eggs, which were also a standard feature of eighteenth-century cabinets of curiosities. Nonetheless, it's generally assumed that the stonemason who carved these examples had never seen an ostrich. True, they were hardly a familiar sight in Georgian Chichester. Are we being a little unfair, though? After all, a plump bird on long, thin legs poses serious practical problems for the carver so we might also wonder about Peckham's artistic knowledge and common sense. What is this, and where will you find it? The Pointe de Grouin is a rocky finger pointing into the sea between St Malo and Cancale, Brittany. 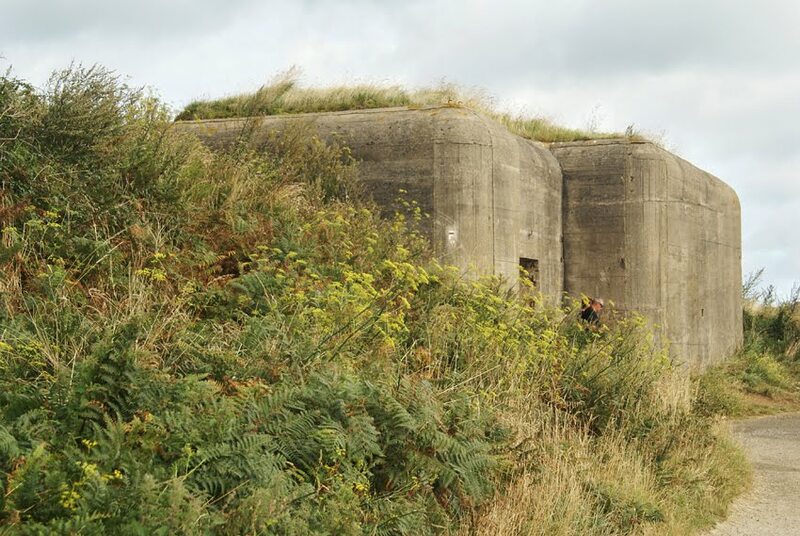 Today it's a haven for wildlife, but during the Second World War its extensive views across the Baie de Mont St Michel and the Channel gave it strategic value. It was thus the site of German fortifications: a network of heavy concrete blockhaus (bunkers). Several survive; visible inside the best-preserved are graffiti from 1944. 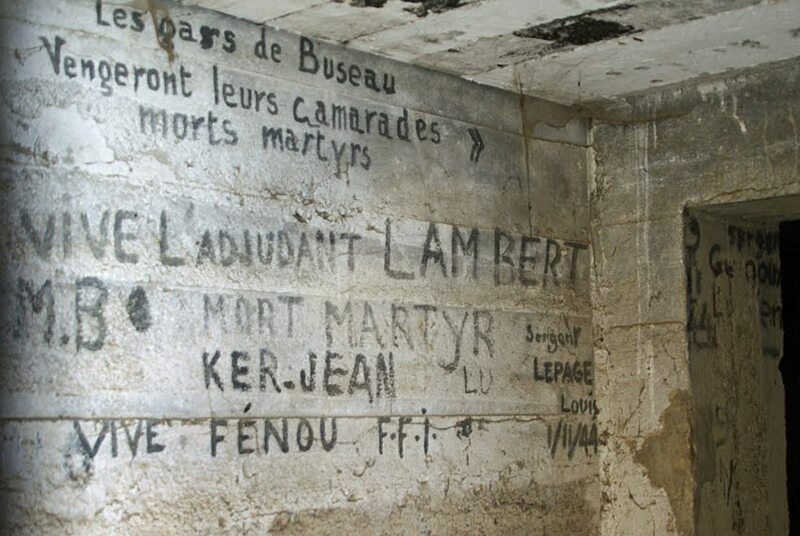 Vive L'Adjudant Lambert mort martyr. These few words refer to a horrific incident carried out by the Milice, a paramilitary organisation of French collaborators. Broualan, near Dol de Bretagne, was a local centre of resistance activity. By 1944, it hid a transit camp commanded by Adjudant Lambert, a village baker. When a raid on the resistants' camp failed, the Milice returned the following day to the village itself. 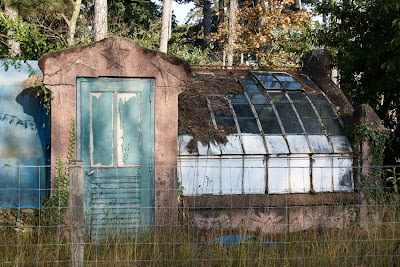 Lambert was at his brother-in-law's house when the Milice descended upon the countryside. They searched a number of houses and farms, killing several villagers. Lambert, his brother-in-law and others were seized. 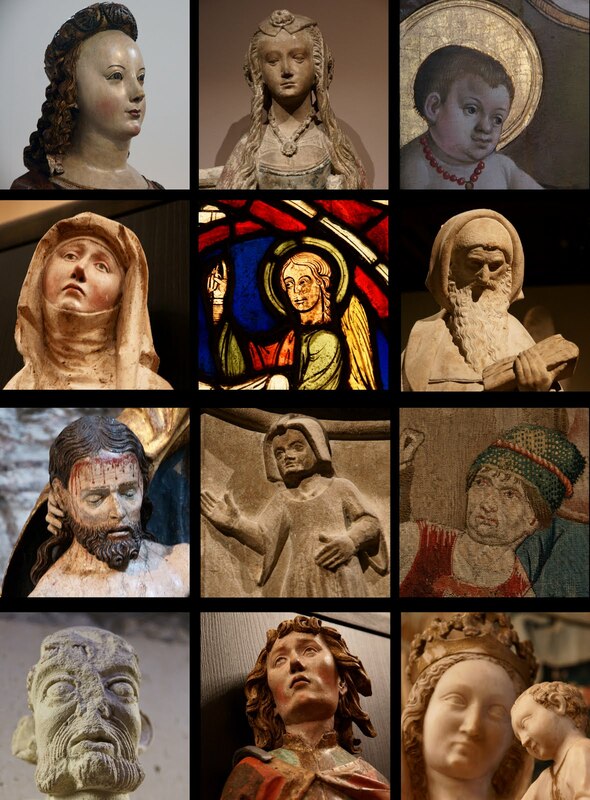 Beaten and tortured, they were then taken towards St-Remy-du-Plain. A kilometre or so outside the town, the prisoners were taken out of the vehicles. After crossing a field of oats, they reached a disused quarry where eight of them including Lambert were shot. 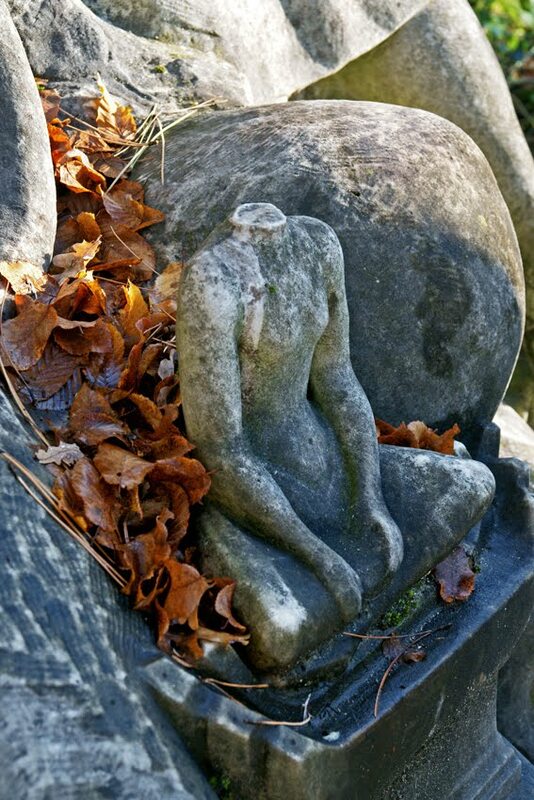 Although the Postman's Park memorial tells stories of ordinary individuals, these often overlap with larger events. The Silvertown explosion in the First World War is one of these. Just a brief follow-up note to yesterday's post. First, the Royal Mail have a pop-up shop in Selfridge's. It has all sorts of postal gifts including a range of Wallace & Gromit items;the chance to make instant 'smilers' with your photo on alongside the christmas stamps; and best of all, one of the models created for the stamps themselves. Second, I somehow forgot to mention the lovely dedicated website for the stamps. 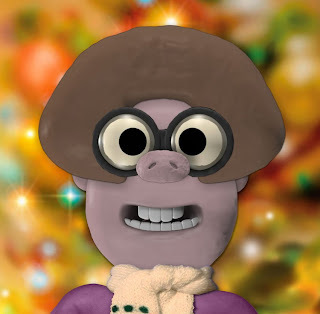 You can create an Aardman-style version of yourself as well as shop for stamps (and enter a competition, although I'd rather you didn't as I really covet that prize!). Getting my first letter with a Christmas stamp might sound like a good excuse for a 'Christmas appears earlier every year' rant, but as it's one of the lovely Wallace and Gromit designs I'm not going to complain. The first Christmas stamp appeared in Canada in 1898, although it's not a proper one. Rather, the words 'Xmas 1898' are simply written along the bottom of a regular stamp. Apparently they were added when the Postmaster General showed the design to Queen Victoria, remarking it would be issued 'on the Prince's birthday'. He had meant to please her, but remembered just in time that she didn't actually like the Prince of Wales very much so when she asked 'which Prince? ', quickly improvised with 'the Prince of Peace'. The face-saving word was then added to an otherwise non-seasonal map design. 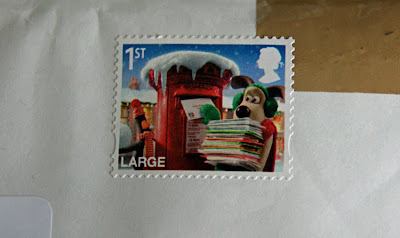 There's some discussion in the philatelic world about what exactly constitutes a Christmas stamp. 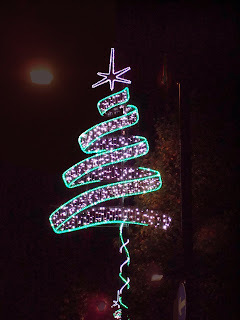 However, by most definitions it was only in the mid-twentieth century that proper Christmas designs became common. Britain was relatively late in adopting the custom: there was reluctance for many years to move the Queen's head from the centre of the stamp. At last, in 1964, Tony Benn was Postmaster General and decided that we should have a special Christmas stamp designed by children. The monarch's head became a smaller silhouette in the top corner, a solution used for special issues ever since. Further reading: the British Postal Museum & Archive has an online exibition, The Post of Christmas Past. For an international view, see the website of the Christmas Philatelic Club (their magazine is aptly named Yule Log). Further viewing: the stars of this year's stamps are currently on TV in Wallace & Gromit's World of Invention. The clock's workings are actually inside the building; it is wound three times a week. For a brief time, it was illuminated: the Victorians replaced the clock faces with glass dials so that they could be lit up by gaslight. However, these didn't last long and are now in storage while the original faces have returned to their rightful position. 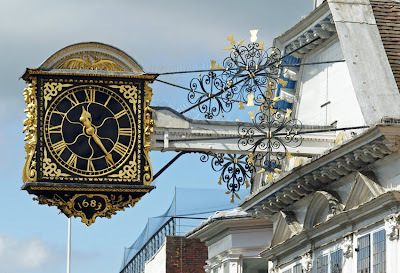 If the clock was indeed a bribe (and records show a John Aylward being given freedom of the town the very next year), then Guildford made a good bargain. 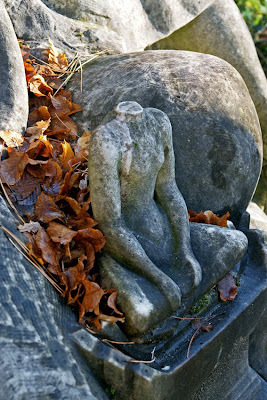 Hallowe'en may be over, but I haven't quite got over the spookiness - and nothing says 'spooky' like Victorian gothic. 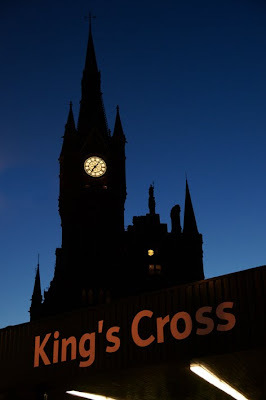 Here's the silhouette of St Pancras looming ominously over the rather more mundane canopy at King's Cross.